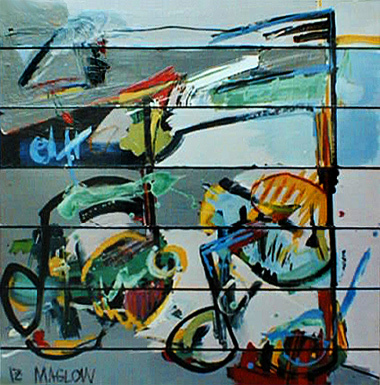 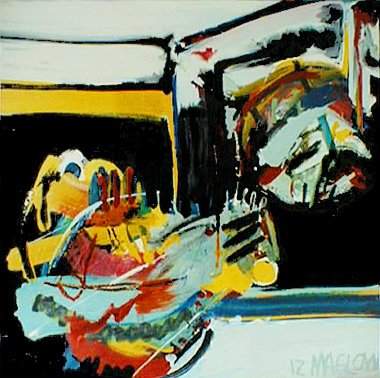 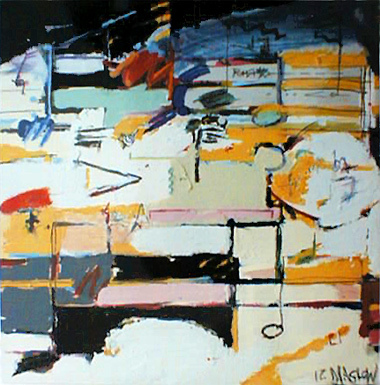 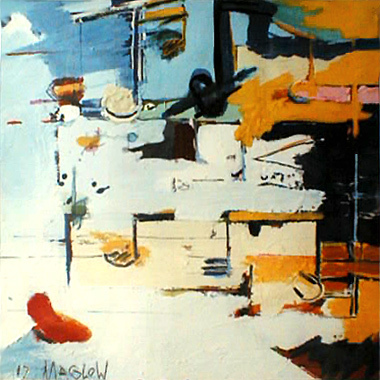 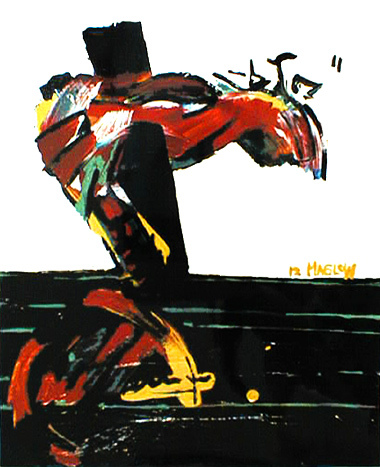 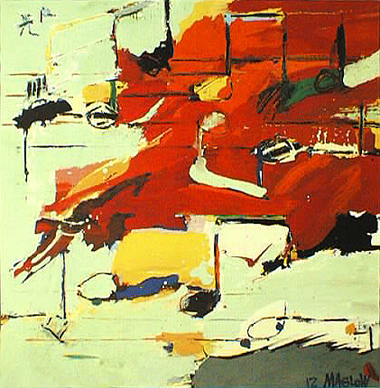 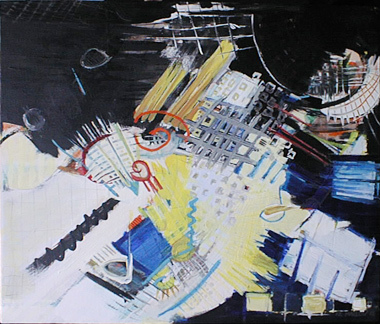 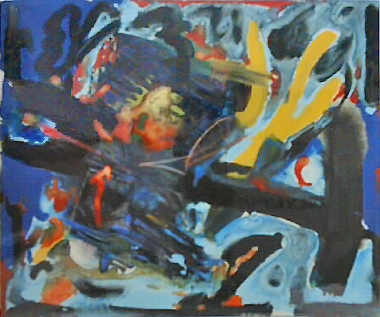 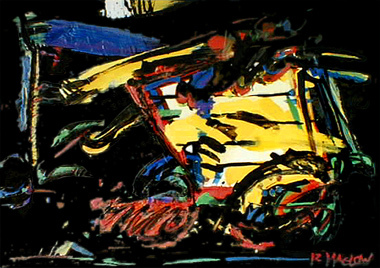 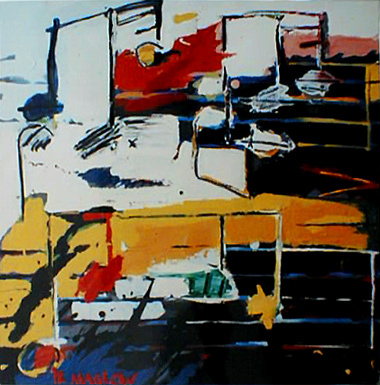 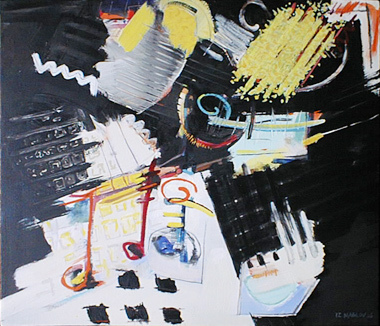 "... His color-intensive works in acrylic and mixed techniques were reflected in the three-dimensional stage space, and conversely, the themes of the opera influenced the painterly work ... 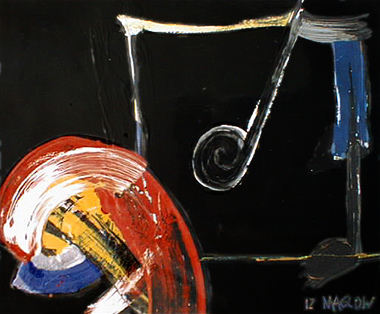 Thus created works that reflect only the play of notes and the sound of music. 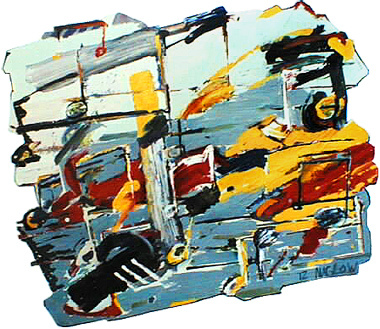 ..." Memminger Kurier, 1987. 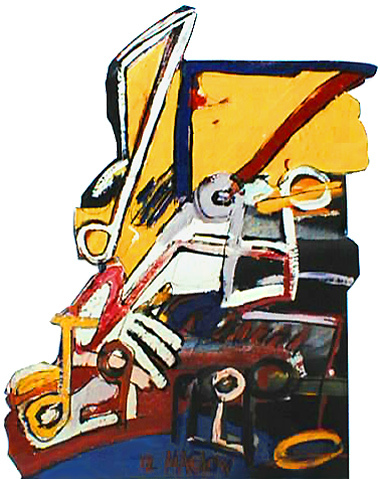 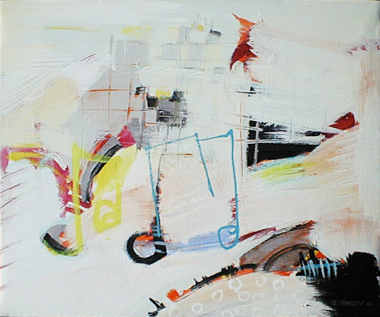 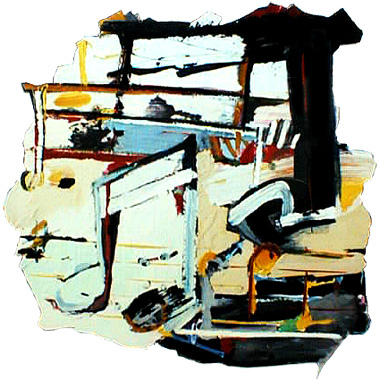 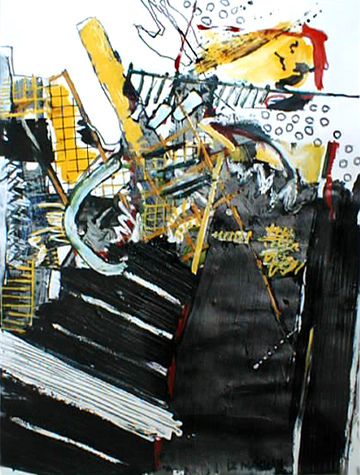 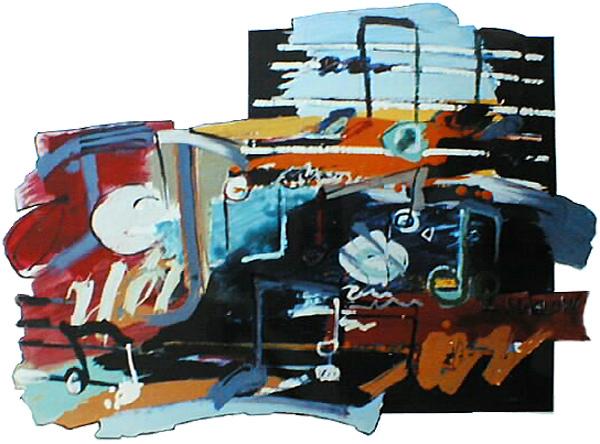 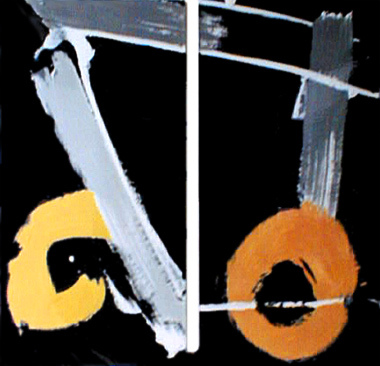 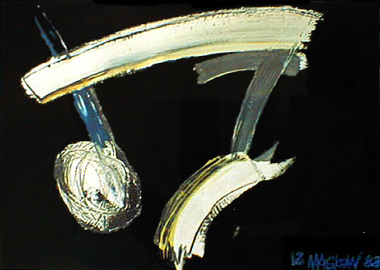 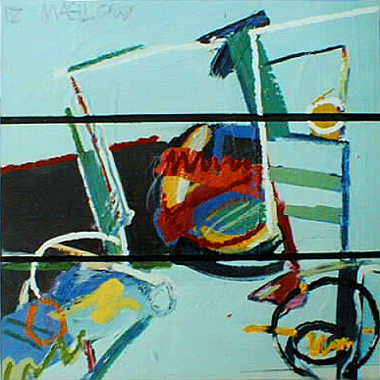 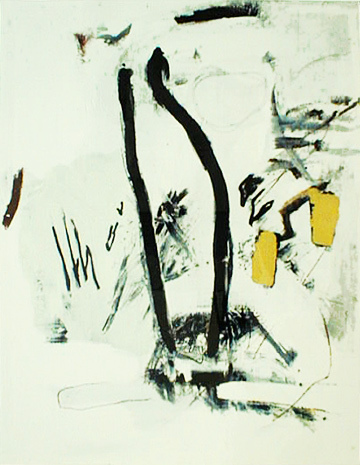 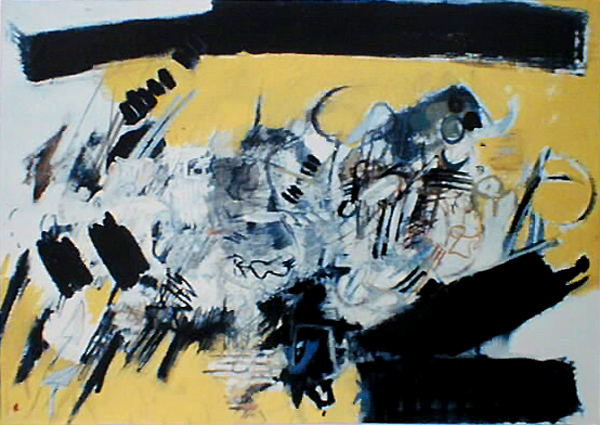 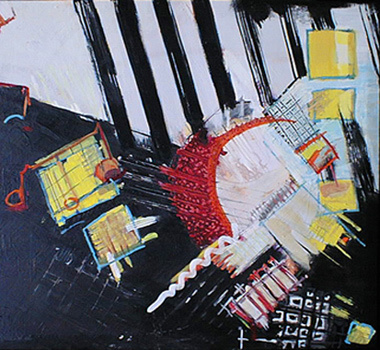 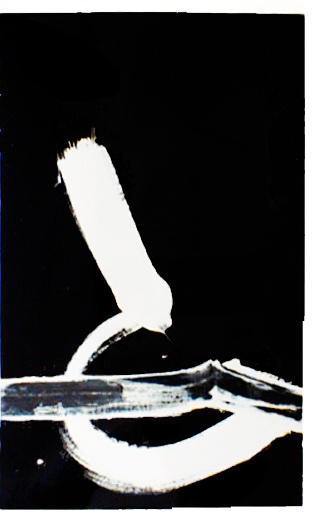 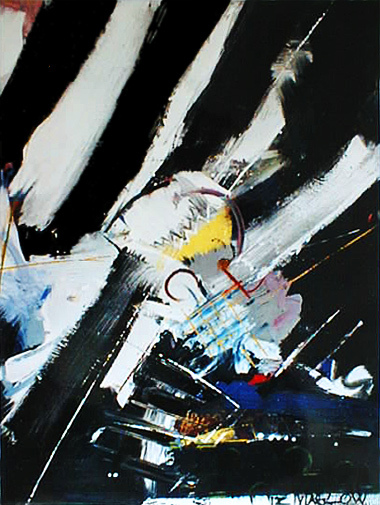 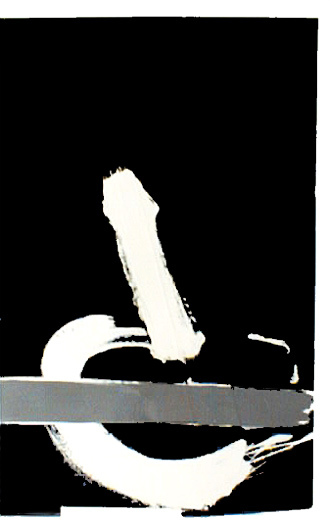 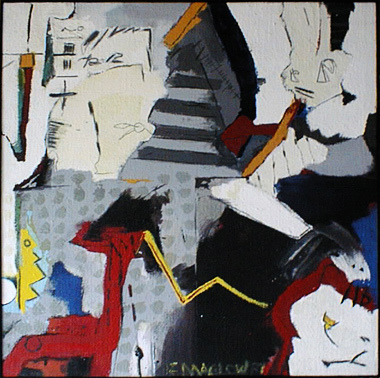 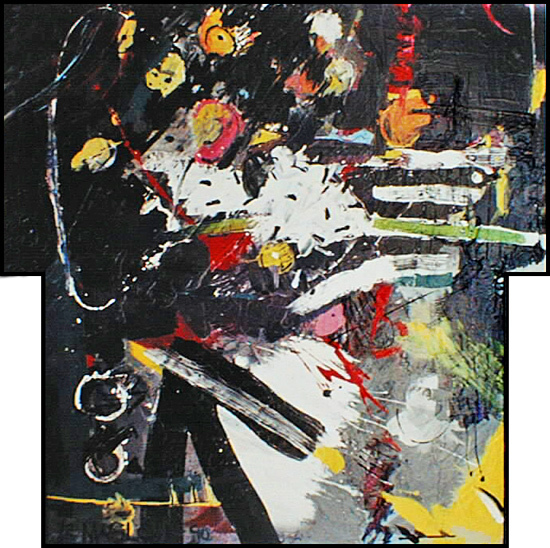 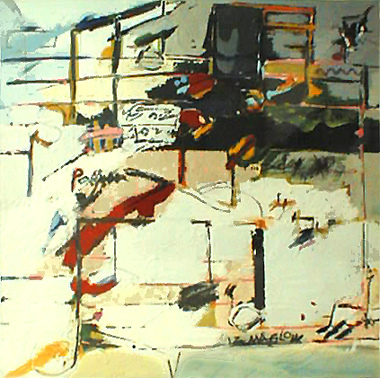 The expressive sound images of 2006 are expressive works on canvas. 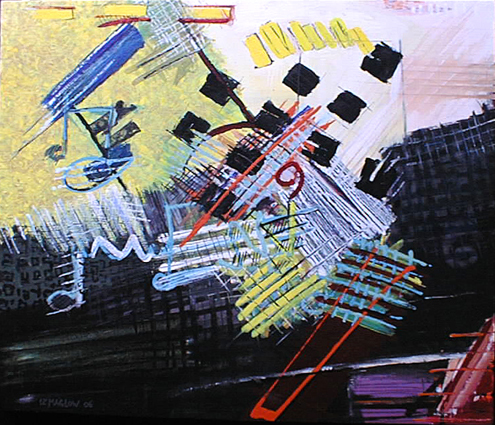 Lines, stripes, spirals, grids and reduced musical notes determine these contrasting compositions. 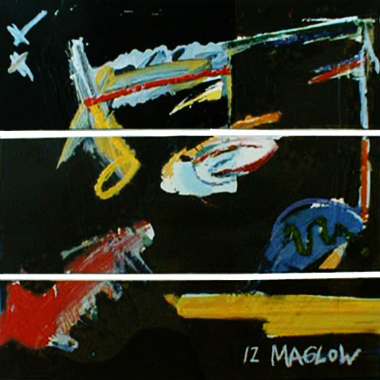 Iz Maglow transforms concrete orchestral sounds into musical color moods and colorful sound images. 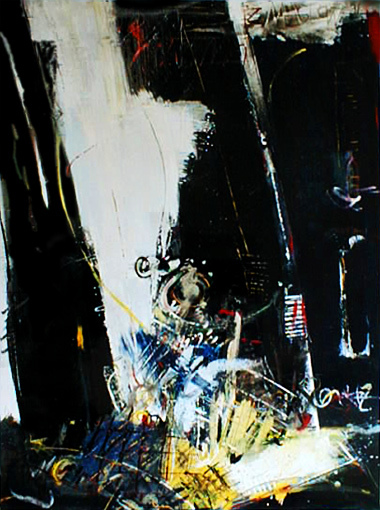 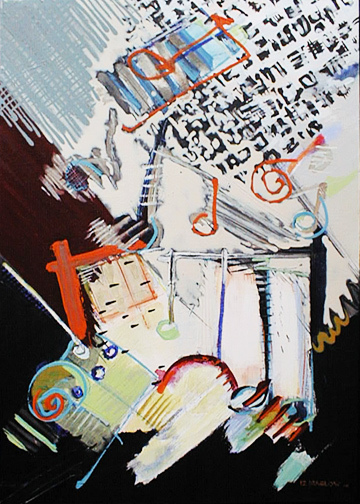 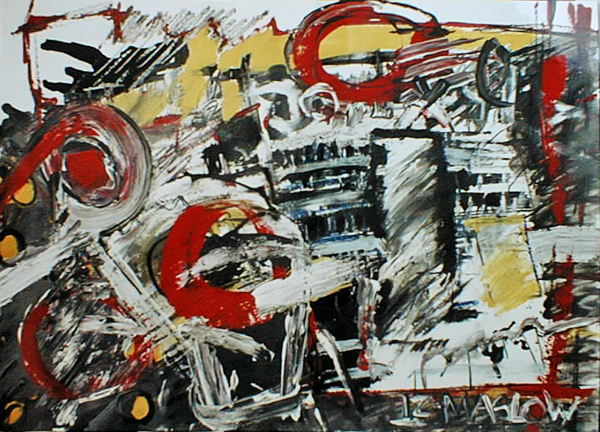 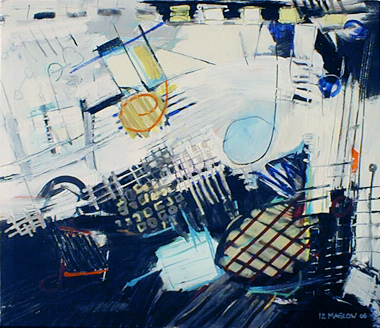 Using abstract ciphers and expressive style, he captures his interpretations with acrylic and oil paints on canvas. 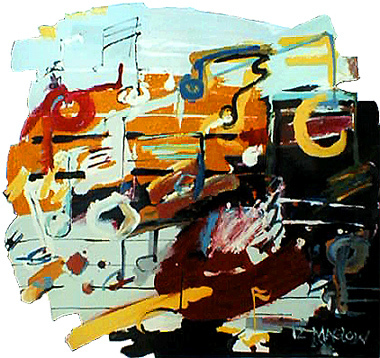 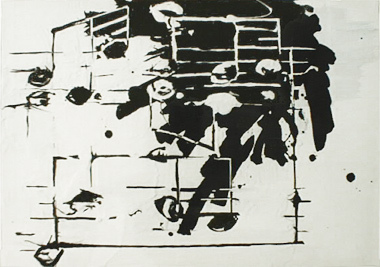 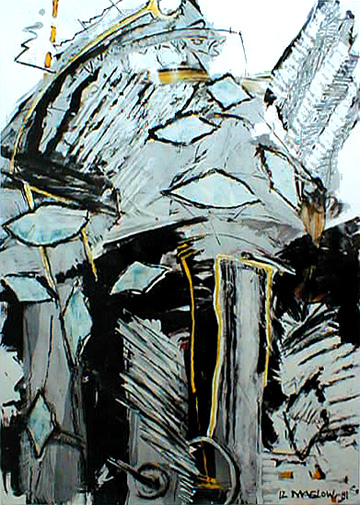 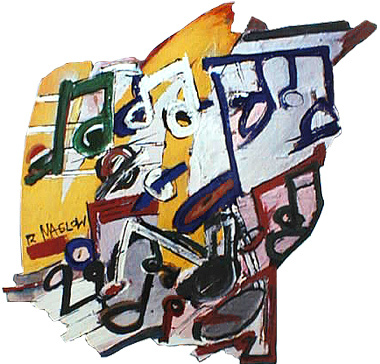 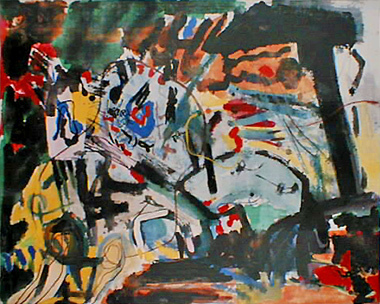 Through the implementation of acoustic sound experiences with painterly means and an expressive painting style, works were created in which the viewer associates "musical sound images". 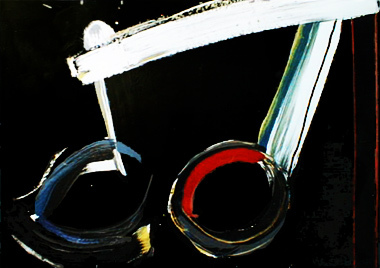 This is reinforced by work titles such as "LITTLE SUN OF BRUCKNER", "WHITE MUSIC" oder "BLUE MUSIC". 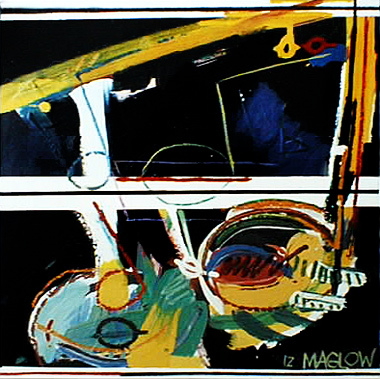 During the years in which Iz Maglow played in extras roles at the Stuttgart State Opera, "Rigoletto" was the most frequently performed opera in Stuttgart. 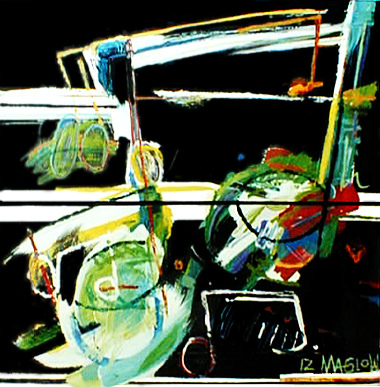 So it is not surprising that this opera artistically inspired the painter in his music pictures. 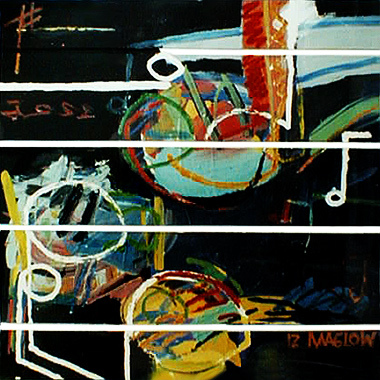 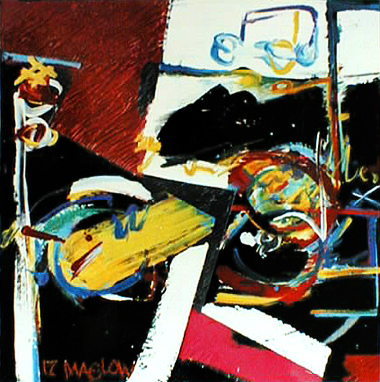 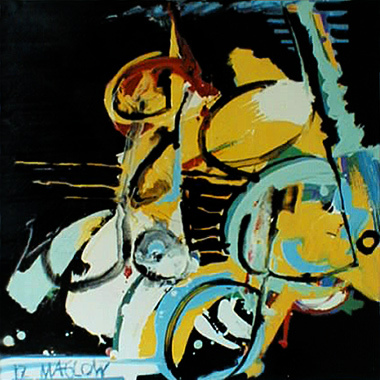 It "...created works that only reflect the play of the notes and the sound of the music ... His scores were used in record covers, concert programs and orchestral posters from Berlin to Munich ..." wrote in 1997 the "Schwäbische Zeitung" on the occasion an exhibition of Iz Maglow's music images in Ochsenhausen. 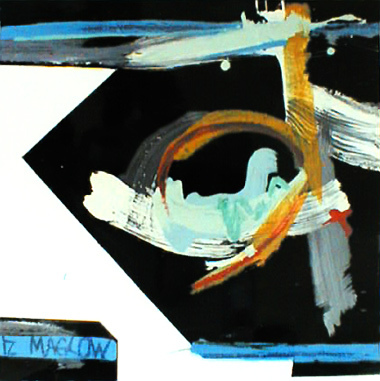 Further works by Iz Maglow on the subject of music: Album Covers and Concert Posters, Sound Installations, etc. 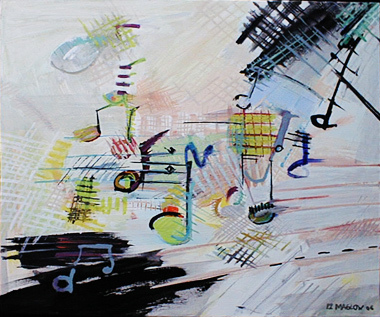 "Musical Notes" are musical impressions that use short note sequences to transform timbres into colorful sound images. 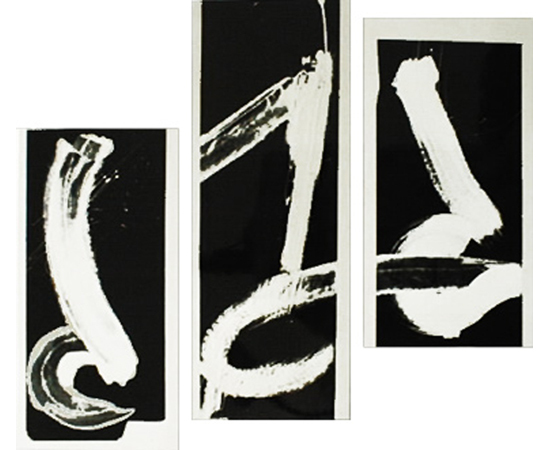 Color-reduced works that translate a musical note with sometimes very calligraphic style. 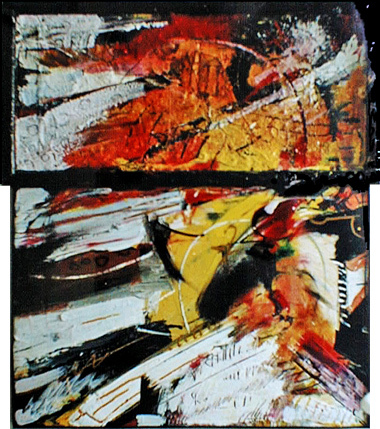 They float like a tableaux in front of the wall.